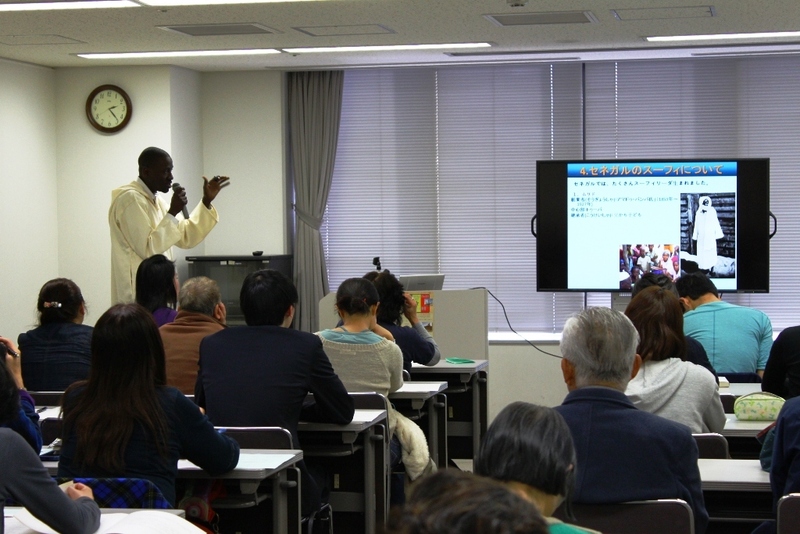 On March 28th, I organized an intercultural understanding salon about Senegal. 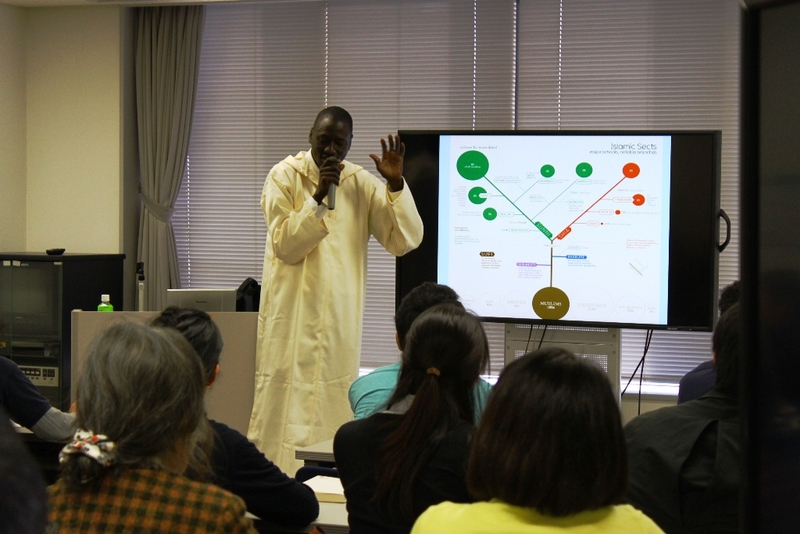 Papa Saliou Sarr, originally from Senegal and currently a researcher at Kyoto University, told us about Islamic culture and its influence on national politics. The topic seems daunting at first but Papa’s explanations made it quite easy to understand. We got to learn about the different ethnic tribes in Senegal, and the difference in their practice of Islam. The main tribes are the Wolof, Al-pular, Serers, Jola and Soninke. The Wolof people represent 45% of the population and are found in almost all regions. Wolof language is spoken by most people, making it the national language, the official language being French. Religion in Senegal is dominated by Islam with 94% of the total population practicing it. Only 5% of Senegalese people are Christians and 1% are considered as animists. Islam basically evolved into two branches after the Prophet Mohamed: Sunni and Shia. Sunni is the biggest group within Muslims, which is itself split into other groups, one of them being the Maliki School. Islamic Sufi, which is the main form of Islam in Senegal, is deemed part of the Maliki School and focuses on direct inner experience of God. Islam in Senegal is mostly Sufi due to historical figures that had contributed to spread it in the country. In Senegal, during elections, Sufi group leaders often play the role of facilitators and are involved in solving any political tension that may exist between opponent groups; including political party leaders. This specificity has contributed to the development of a very peaceful environment during elections in Senegal since its independence, making Senegal one of the most democratic countries in Africa. It was a very interesting talk, especially hearing an insider’s viewpoint into topics we don’t usually get to be familiar with. Participants had many questions and took advantage of this opportunity to learn more about Africa, Islam, and about Papa’s experience in Japan. I will be planning more intercultural salons so look forward to them!